GameBlast is back and Jagex is once again teaming up with Special Effect to help disabled people be able to play video games. Jagex has been a longtime supporter of SpecialEffect and I for one am pleased to see their involvement with GameBlast again. It is hard to imagine a more fitting charity for us gamers to come together and support. 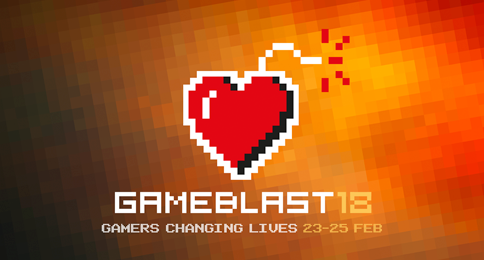 GameBlast will be held on February 23-25. Jagex will be doing a 24-hour live stream on the 23rd and hosting a double XP weekend for RuneScape 3 players. 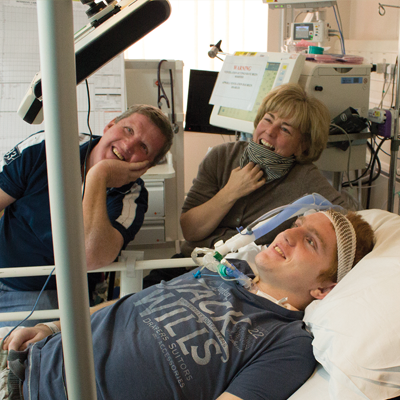 Now let us take a look at what SpecialEffect does and why it is so near and dear to my heart. 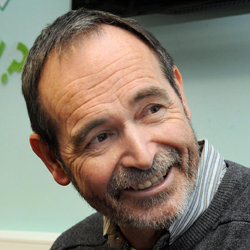 SpecialEffect was founded by Dr. Mick Donegan in 2007. "Dr. Donegan has many years of practice-based work as a teacher and an Assistive Technology specialist. He has extensive experience in assessing, teaching, training and supporting people with complex communication difficulties. Mick was Deputy Head of Wilson Stuart Special School in Birmingham and Deputy Director of the ACE Centre, Oxford. He is an Associate Senior Research Fellow at SMARTlab, University College, Dublin, and is Adjunct Professor in the Department of Assistive Design at OCAD University, Ontario." - SpecialEffect Dr. Donegan is also a pioneer in the field of eye movement control, also known as gaze. All of the people that work at SpecialEffect are kind and have a passion for what they do. What SpecialEffect does is help provide disabled people the opportunities to play video games through the use of assistive technology. They can modify existing controllers in some cases, but in others, they may have to build a custom setup to enable someone to be able to play. From using your chin, your feet, and even your eyes, SpecialEffect finds a way for the disabled to play. They have helped people with no hands, paraplegics, and even people that can literally only move their eyes. Their research and movement solutions have had far-reaching effects even beyond video games. For example, their knowledge and experience with eye control technology have already helped in emergency situations allowing for communication with doctors. With all these advances you may be asking yourself why SpecialEffect focuses on gaming? For the most part, it allows a disabled person to have more social interactions. It can be a conduit for siblings that are able-bodied to interact and play with siblings that are not. Parents too can take part in the fun and be able to do things with their children that most people take for granted. When you play an online game, for instance, no one knows your disabled unless you tell them. There are no stares, no sneers, and no one patronizes you for being disabled. On the contrary, you will probably get an earful if you cause your overwatch team to lose. Gaming also allows for the severely disabled to have something to stimulate them mentally. Can you imagine not having any movement but your eyes? The feeling of being trapped inside yourself at the mercy of those around you and your only entertainment is your imagination and whatever you've been pointed at? Now imagine what it would feel like when Special Effect gave you a way to interact with the outside world. The ability to play a simple video game with your eye or chin could help you not feel so isolated. Many of you know I am a disabled gamer myself. I have Stargardt's Disease, a condition in which I have no central vision. Luckily for me, I lost sight over a long period of time. I use a variety of devices and software that help me in daily life and gaming. Recently I found a miracle device called eSight which actually can help the legally blind see. Essentially it is a lightweight headset with a high definition camera in the middle just above your nose. The other side has two OCLED screens that show what the camera is seeing. There are all kinds of adjustments you can make to contrast, zoom, brightness, etc. I can even take a picture od whatever I'm looking at in order to zoom and the VR technology in the device lets me look around at different aspects of the picture. I can even plug the headset into anything with an HDMI output to see it right on the eSight device. Of course, something like this wasn't cheap and I couldn't afford it myself. I had to start a fundraising campaign to get my new eSight. So I know a little bit about how these kids are feeling and how much some of the assistive technology can cost. Special Effect actually builds and develops many devices that help people play and that cost is probably high. I was blessed to have the support I had from friends and family even some people I didn't know. Not everyone has the same support and that's why I'm so thankful Special Effect exists. Oh, and did I mention that they were the very first organization to contact me back with helpful information and ways to help my campaign? What can you do to help SpecialEffect and celebrate GameBlast? There are many ways you can help. First of all you can go to Jagex's Just Giving site and make a donation. You can donate to Special Effect directly via their website or visit my Just Giving for GameBlast. You could also do your own GameBlast challenge to help raise money for SpecialEffect. Just go to https://www.GameBlast18.org.uk/ to sign up and create your page and challenge today. For example, I'll be doing a 24-hour live stream on the 23rd as well, only mine starts at 7am EST to coincide with the start of double XP. Don't forget to stop by the Solomon's Store to pick up this year's GameBlast outfit. They will even have outfits from years past you can buy. All proceeds go to SpecialEffect. Be creative and get your friends and clannies involved to help this great charity. Finally, I want to thank Jagex. Jagex has found a way to get back to what makes them different from other game studios. Other developers may give to charities and that's wonderful, but Jagex gives their heart. It is the jmods, players, streamers, and donations all together that sets them apart. 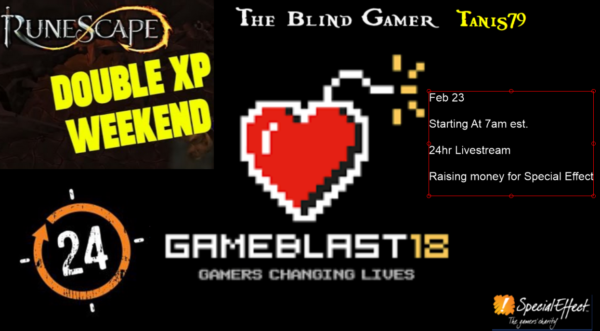 I couldn't be happier to see Jagex being involved with GameBlast again and I can't wait to see what we can accomplish together. Until next time, Happy RuneScaping.